REMEMBER, this mini-Shakespeare play you are doing is NOT a perfect play. Heck, if you want to make it perfect, please don’t do it; that’s a complete waste of creativity, and the kids are chock full of creativity – let’s pull it out! I specifically reference these plays as “Melodramatic Masterpieces,” so please don’t forget the MELODRAMA piece…. It’s what gets the parents rolling in the audience and the kids coming back for more! Remember, performing Shakespeare MUST BE FUN!!! By now you have the casted the play. So step 1 here is to highlight their lines. I have a great little technique to get the kids all on the same page, “if it’s blue, it’s what you do” Just follow that link to see the easiest way to organize your highlighting. Step 2 is to do a read through just wherever you are (sitting at a desk, sitting on stage, on the grass outside next to a lake with ducks floating by, wherever). Once you have done your first read through, the next thing to do is start blocking. 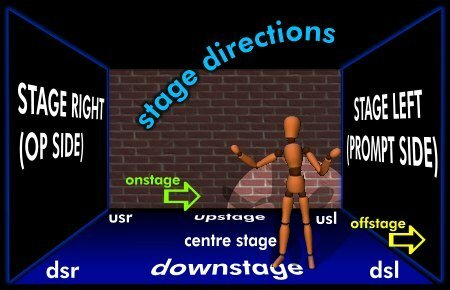 First of all, the definition of blocking, for those of you who don’t know: to plan or work out the movement of performers in a play. This is where the “F’s” come in… it is fun, frustrating, and FOREVER! Yes, the first time walking through and doing basic blocking of the play seems like forever, but don’t worry, it speeds up quickly! You will probably only get through the play maybe once, but call it a wrap and head home. HOWEVER, emphasize to the kids to start memorizing their lines (always do this, sometimes it takes a while to sink in). Also, remind them that as of Day 5, you will be “off-book” (no scripts) so, good luck. You may get through the play only two times today. But that’s okay, the kids will have a basic idea of what they are doing and where they are going now. KEY POINT: kids will start coming up with their own ideas for their character – GO WITH IT! This is where their creative juices starting to flow. This is VERY IMPORTANT; if they feel empowered with the Bard, and start having fun with Shakespeare, they will start to embrace his work more and more (you are on your way to creating a Shakespeare monster!). Oh yeah, and start thinking about costumes. WHAT! Costumes? Yes, costumes. This can be a major headache or really simple. I go with the really simple route myself. Hit Walmart or K-mart the day after Halloween and buy a bunch of plastic swords, renaissance type costumes, and miscellaneous fun stuff (the Witches are great fun to buy for). I typically throw everything in one or two bins and tell the kids to have at it. They spend about 20 minutes trying on costumes and seeing if they can make things fit, it’s great fun! But don’t do this piece until Day 5 (or the day before the show). Most of the time there are at least one to two parents that can make a costume or two as well. You’ll always have those few talented moms out there who love to help! They are the BEST! And remind the kids again… on Day 5 we are off book! Now you are starting to move a little faster. Some kids know their lines, other kids don’t, but they are starting to come up with ideas whether for costumes, props, how to die on stage (with dramatic sword fighting of course!) or whatever, just go with it! Keep remembering, the entire goal here is to have fun with Shakespeare. The kids will love it, the parents will love it, and I bet ya Willy will be watching too and having a great ol’ time! And remind them, next time we meet we are off book! Yep, that’s right. These two to three run-throughs today will be a bit slow, but by the third time you go through it, most kids will be moving pretty well with their lines and starting to really have fun! At this point, you are welcome to add more days for rehearsals. As any director will tell you, actors can ALWAYS use more rehearsals! Day 6: DRESS REHEARSAL and PERFORMANCE. I typically do the performance in the same time slot that I have been doing all the other group meetings and rehearsals, but it is up to you. This day starts straight away with getting into costumes. You should perform two dress rehearsals just before the big show. And at this point, just let the kids just run it with no interference. Don’t even go backstage for this, they need to learn that the world is really their stage. Just stand back and enjoy the show. By this time, the audience has filed in and you are ready to go with the show. So, to break the ice, you get on stage first. Thank the kids for all their hard work, the parents for putting up with Shakespeare in their homes for so many weeks, and then stand on stage and introduce the wrong show. 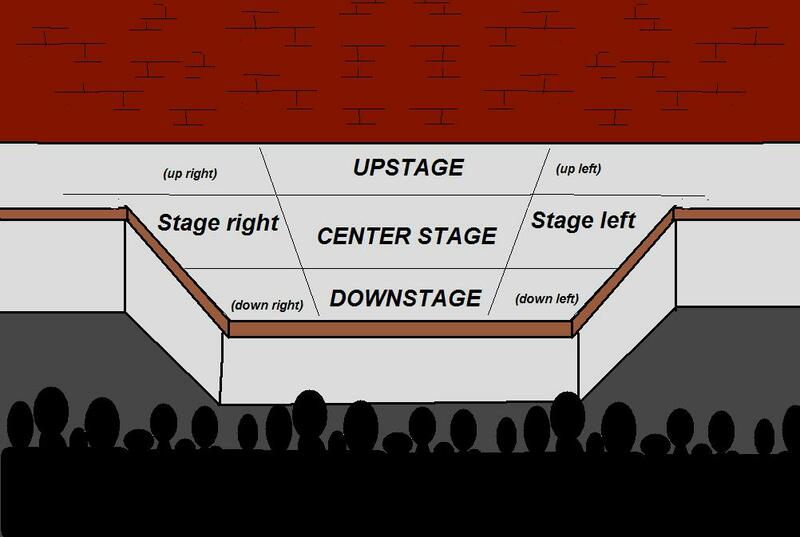 Set this up before hand with all of the kids yelling from backstage the correct play. i.e. : “I am proud to announce today’s play, ‘Hamlet.’” From backstage the group says, “NO!”. Then one kid wanders on stage, whispers into your ear the correct play and you proceed to change your intro to: “I am proud to announce today’s play…(asking backstage so the audience can hear) what is it again?” Then all the kids yell in unison, “MACBETH!” “Oh yeah! Right! I am proud to announce today’s performance of …‘Macbeth!’” This typically helps break nervous tension that the kids have built up. Then stand back and watch the show!!!! That’s about it – pretty simple, huh? But remember, the ONE simple rule… when performing Shakespeare, MAKE IT FUN!!! For more information or fun items like the Shakespeare Insult Generator, or an acting guide, check out the site or read some of the other blog posts. Tagged Shakespeare for kids, performing Shakespeare, shakespeare lessons. Bookmark the permalink.